Could a mystery that began on a desert mountaintop in the Middle East 3,000 years ago possibly be determining the direction of world history, the course of our lives and the specific events that await us in the days ahead? Is it possible that the words of an ancient Hebrew text are controlling the rise and fall of the American economy, the timing of recessions, depressions and economic crashes, and the collapse of Wall Street and the great stock markets of the world? And could an ancient mystery that held the key to the timing of Israel’s judgment actually be determining the timing of critical and world-changing events in the modern world so precisely that it involves dates, hours, minutes and seconds? It may sound like something from a Hollywood movie or science-fiction book, but it’s real. In fact, the mystery of the Shemitah is so real it can be measured and quantified. It is so big and far-reaching that it has been affecting the lives of everyone reading this article since birth. Two-and-a-half years ago, at the time of The Harbinger’s release, I was asked to give an exclusive “peak” or revealing as to some of the mysteries included in that book. With my new book, I have now been asked to give an exclusive peek into some of the revelations in The Mystery of the Shemitah. Most of those reading this know that for Israel, every seventh day was a Sabbath, a day of holiness and rest. But what many people, even believers, don’t know is that the Sabbath was not only a day, but also a year (Lev. 25:1-4). During the Sabbath year, there was to be no working of the land. All sowing and reaping, all plowing and planting, all gathering and harvesting had to cease by the end of the sixth year so the land could “rest and lie fallow” (Ex. 23:11). At the end of the Sabbath year, something unique took place: “At the end of every seven years you shall grant a release of debts. And this is the form of the release: Every creditor who has lent anything to his neighbor shall release it; he shall not require it of his neighbor or his brother, because it is called the Lord’s release” (Deut. 15:1-2). “At the end of every seven years” refers to the last day of the Sabbath year. On the biblical calendar, the day was called Elul 29. So on Elul 29, the very last day of the Sabbath year, a sweeping transformation took place in the nation’s financial realm. Everyone who owed a debt was released. And every creditor had to release the debt owed. Elul 29 marked the day all credit was erased, and all debt was wiped away. The nation’s financial accounts were, in effect, wiped clean. It was Israel’s day of financial nullification and remission. The word in Hebrew used for this remission was “shemitah.” Thus Elul 29 became the Day of the Shemitah, while the Sabbath year was known as the Year of the Shemitah. The Shemitah bears witness that the land and, for that matter, the Earth, belong to God. It is only entrusted to man as a steward. God is sovereign. His sovereignty extends also to the realms of money, finances, economies and possessions. The Shemitah declares that God is first and above all realms of life and must therefore be put first and above every realm. During the Shemitah, Israel was, in effect, compelled to turn away from these earthly or worldly realms and turn to the spiritual. But when ancient Israel moved away from God and the keeping of His commandments, one of which was that of the Shemitah, judgment came upon the land. It happened in 586 B.C. when Babylonian armies set fire to Jerusalem, left the land of Israel in desolation, destroyed the Kingdom of Judah and took the people captive into Babylon. But behind all this lay the Sabbath year. The exact timing of that judgment was based entirely on the mystery of Shemitah. In Israel’s rejection of God’s way, the Shemitah turns from a sign of blessing to that of judgment. Thus the Shemitah became a sign of judgment against the nation that drove God out of its life and culture and placed money and material gain over God. It is a sign of national judgment that specifically strikes a nation’s financial and economic realms. In fact, the effect of the Shemitah itself is very similar to that of an economic collapse and the crashing of stock markets. Is it possible that this ancient mystery that ultimately led to the judgment of ancient Israel is at work and operating in our day? The amazing answer is yes. One of the most dramatic manifestations of this biblical phenomenon took place Sept. 29, 2008. On that morning, the opening bell of the New York Stock Exchange refused to ring. Then came the greatest stock-market point collapse in Wall Street history. Massive amounts of money were wiped out as financial accounts were nullified. On what day did this greatest collapse take place? On the biblical day of Elul 29, the central day of the mystery of the Shemitah, the very day appointed to wipe out the financial accounts of a nation. And it was not only the day, but the year. The greatest wipeout of financial accounts in American history took place on the Elul 29 that only comes around once in seven years, the exact biblical day of financial nullification. It is a mind-boggling phenomenon. And yet it’s just the beginning. If you go back seven years earlier, according to the ancient seven-year mystery, you end up in September 2001, the month of 9/11. But it was also the month of the other greatest crash in Wall Street history, up to that day. It took place Sept. 17. On the ancient biblical calendar, this other greatest crash in American history took place on Elul 29, the exact same day—and the day that just happens to be appointed in the Bible for the wiping away of financial accounts! On top of that, the crash of 2001 was caused by the terrorist-inspired events of 9/11. Thus, all of these things could have taken place only on the exact date they did in accordance with the ancient mystery, if the timing of 9/11 was also in accordance with the ancient mystery. Thus, even behind 9/11 lay the ancient mystery of the Shemitah. And yet even this is only the beginning! “The subject is for another time,” he said. The “another time” referred to by the prophet for revealing the answer is now. The Mystery of the Shemitah is, in effect, the revelation of the mysteries Nouriel was searching for. We don’t have the space here to go into what is so gigantic that it resulted in a book that even I didn’t expect. But I will seek to give an idea or taste of some of what is involved. • How this ancient sign of God has been behind all of the greatest turning points and collapses in the financial and economic realm of the last 40 years. • How the greatest single-day stock market point crashes in history have been determined by the mystery of the Shemitah. • How the greatest single-day stock market percentage crashes in history have been ordained by the ancient mystery. • How the majority of stock market crashes all cluster around a single month, the very month ordained in the ancient biblical mystery to manifest financial nullification. • How every one of the five greatest point crashes in Wall Street history take place in proximity to the once-in-seven-years Day of Nullification. • How the Shemitah lay behind the greatest financial and economic collapse since the Great Depression­—the Great Recession. • What all this portends for the future of Wall Street, the financial realm, the economic realm and virtually everyone’s bank account. And yet this is only a part of the mystery. It gets even bigger still. One of the most unexpected revelations in The Mystery of the Shemitah begins at Babel. It involves the connection between the building of high towers and the rise of world powers. 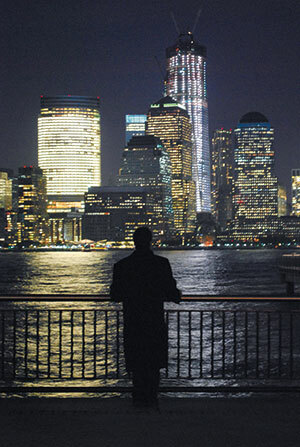 • How the rising of one particular tower ushered in the beginning of America’s ascent to world power. • How the same date of a critical prophetic warning given to America concerning a future apostasy from God reappears in the rising of the nation’s high towers. • How the mystery of the Shemitah was woven into the World Trade Center again and again from its conception to its completion to its destruction. • How the mystery of the Shemitah is joined to the rising and falling of America’s high towers. • What the ancient mystery had to do with the 9/11 collapse of the towers. • The rise of the One World Trade Center tower at Ground Zero (the fourth of the nine harbingers), the strange omens that have accompanied its rise and the connection between these manifestations and national judgment. • What all this portends for the future of America and the world. • The greatest global cataclysms and shakings of nations in modern history. • America’s rise to world power in 1917 and to superpower in 1945. • The fall of the Russian Empire and the rise of the Soviet Union and, ultimately, the Cold War. • The convergence of World War II to the ancient cycle ordained at Sinai. • A 28-year cycle that has brought about the shaking, the collapse and the fall of nations. • The ancient appointed time of nullification and atomic warfare. • A specific scenario and warning concerning the fall of America, the American Empire and the American age as we have known it. Many people don’t realize the connection of the Shemitah and the Jubilee. The Jubilee was actually a super- or mega-Shemitah. As the Shemitah brought release, the Jubilee brought liberation, restoration, the redemption of possessions lost and the return of the dispossessed to their ancestral home. The Jubilee’s timing was linked to the seventh Shemitah. Thus it could only take place in the year following the Shemitah. The seminal event of end-time prophecy is the return of the Jewish people to their land and the liberation of their ancient city, Jerusalem. But behind this return is the mystery of the Shemitah moving on a prophetic stage and focused on the land of its beginning. There has been no greater manifestation of the Jubilee in modern times than the restoration of the Jewish people to their land. It is the fulfillment, on a massive and prophetic scale, of the Jubilee’s ordinance that every man return to the land of his fathers. Yet the key in the timing of these events is contained in the seven-year mystery of the Shemitah. It involved a world war, the collapse of empires and a British general’s march into the Holy Land. It also would dictate the timing of the Six-Day War and the return of Jewish soldiers after 2,000 years to the Holy City and the Temple Mount in 1967. If the progression continues, there is even a possibility of a major prophetic event happening in the near future. There is now intense interest swirling around this ancient mystery—for a very simple reason: The next year of the Shemitah is now upon us. So what does the future hold? The book’s subtitle is: “The 3,000 Year Old Mystery That Holds The Secret of America’s Future, The World’s Future ... And Your Future.” The mystery’s precision with regard to the timing of world-changing events has been uncanny. In its last two manifestations, the Shemitah’s Day of Nullification has pinpointed the day of greatest stock-market collapse in American history, twice. This brings up two inescapable realities. The phenomenon of the Shemitah is intensifying. At the same time, America’s moral and spiritual apostasy from God is likewise increasing in intensity, deepening and accelerating. Considering the link between the Shemitah and national judgment, these two phenomena are ominous. The book includes the key dates concerning the ancient mystery with regard to the future—the form, nature and dynamic the mystery assumes, as well as the scenarios in which it manifests. I included this, as I believe we should be ready for what could take place. There are two notes of caution, however: The first is that things do not have to happen as they have in the past. One cannot put prophetic manifestations into a box or onto a regular schedule and expect them to perform on cue. The phenomenon does not have to manifest in every cycle or with the same intensity. It may appear dormant in one cycle and manifest in the next. Nothing has to take place in this current year of the Shemitah. This second is this: The mystery can manifest as it has before. If so, the pattern is generally that it is the end of the Shemitah rather than the beginning that bears the most dramatic repercussions. Whether or not it takes place in the parameters of the Shemitah, I believe a great shaking is coming to this nation—and the world. I believe the shaking will involve the financial and economic realm but not be limited to those realms. It may even begin in another realm. I believe it will involve a breakdown of functioning and a time of scarcity as a type of famine in the land. I believe it will strike the pride, power, blessings and glory of this nation. And most importantly, I believe its purposes, beyond that of the judgment of sin, will be to call those who will hear the call back to God. It will even be a wake-up call to God’s people. 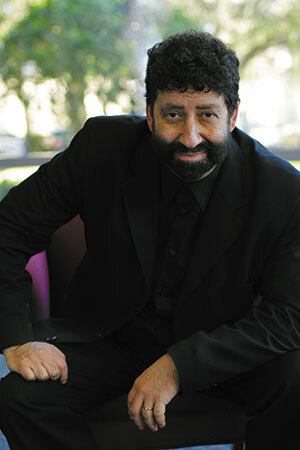 Jonathan Cahn is the New York Times best-selling author of The Harbinger, president of Hope of the World ministries and senior pastor and messianic rabbi of The Jerusalem Center/Beth Israel in Wayne, New Jersey.